The ultimate challenge! 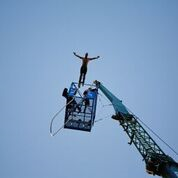 Are you brave enough to launch yourself into a 400 foot drop? It’s a challenge like no other that goes against every natural instinct, it’s about facing fears and pushing natural boundaries to the limit. This experience is all about one decision, the decision to jump that only you, the participant, can make! 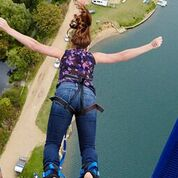 The UK Bungee Club is holding a special event for three days only (24,25 & 26 August), at the National Diving and Activity Centre near Chepstow. 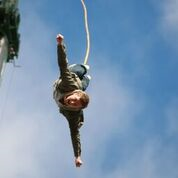 The cost of the jump is £125 per person, and we request that you aim for a minimum of £200 in sponsorship. Don’t forget to download your sponsor form! Such an exciting and exhilarating experience – don’t miss out on this opportunity! For further information or to book, please phone or email the contact above. 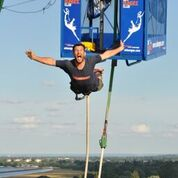 Once you are booked in, you will receive full details and an event pack from the UK Bungee Club.